Home » EBDVF 2019: become a sponsor! EBDVF2019 is organized by BDVA, in collaboration with the European Commission and VTT as the main local organizer. It is also recognized as an associated event to the Finnish Presidency of the Council of the EU. 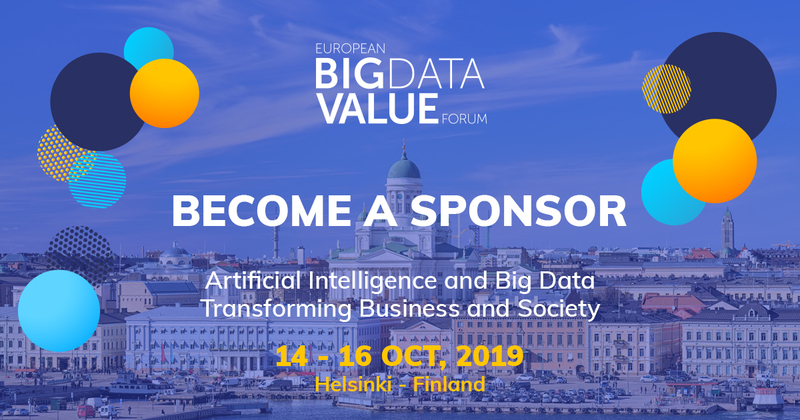 The European Big Data Value Forum 2019, with an expected attendance of 600 participants, aims to continue the success of previous editions, where industry professionals, business developers, researchers, and policy makers coming from 40 different countries attended the event. Don’t miss the opportunity of becoming a sponsor and being an active partner of EBDVF19!